Discussion in 'PTC - PRS Tech Center' started by PRSGuitarsAreTheWayToGo, Dec 28, 2017. 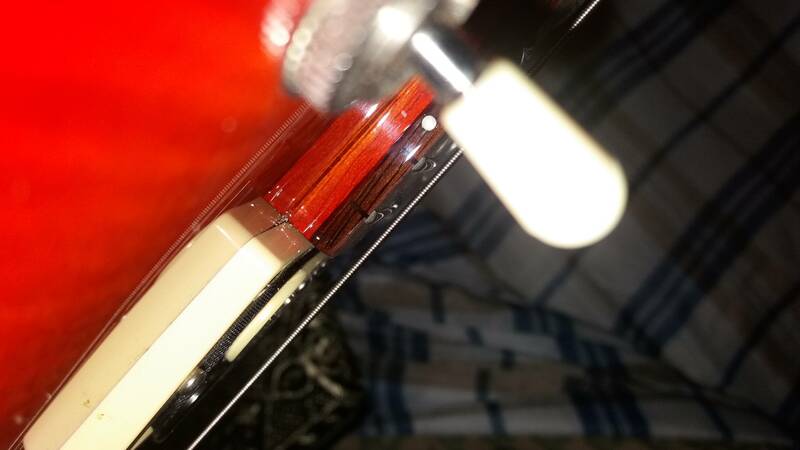 I havent played in about 2 days, and noticed 2 small, hard to capture on a camera cracks. One runs along the heel, where Id imagine the neck meets the body. The other is under the fingerboard (Around the 20th-22nd fret). Both are on the bass side of the neck. Lately the temperature has been fluctuating from very hot to very cold. Right now it sits in a gigbag with neck support from its shipping box until a SKB case comes next month. My main worry is will this be an issue. I've got a warranty for damages through guitar center (Not my idea) incase PRS doesn't due anything for this sorta thing. But I hear mixed things about cracks like this. Here is the only crack that shows up.